Reach an unmatched aesthetics of your front teeth with the help of veneers and lumineers. Veneers are a thin (0,3-0,5 mm) ceramic "pad" applied on to the surface of the front teeth. With the help of veneers you can easily disguise broken, chipped or discolored front teeth. Teeth restoration with the help of veneers is gentle and minimally invasive. Little preparation is required, where a minimal removal of outer dental tissues is needed for the veneer to fit over the tooth. Finished veneers are fixed by a high-strength resin cement. In addition to improving the appearance of teeth, veneers can strengthen tooth enamel. At the same time, smooth texture of veneers prevents the forming of plaque. 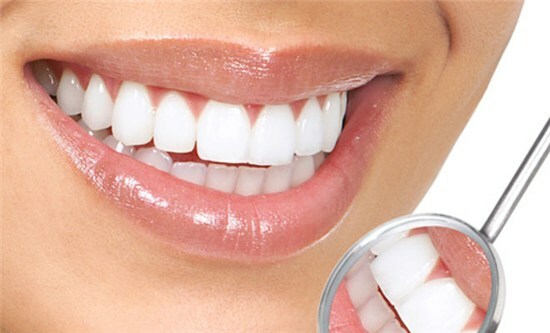 The advantages of veneers are great aesthetics, durability, biological compatibility of ceramics with the oral tissues. There are two types of veneers: composite and porcelain. Composite veneers are used when it is necessary to improve one or two teeth only. In order to bond the composite veneer, your doctor will remove a thin layer of enamel and further will bond the custom veneer. Such veneers are expected to last from three to five years. Porcelain veneers are produced in a laboratory. 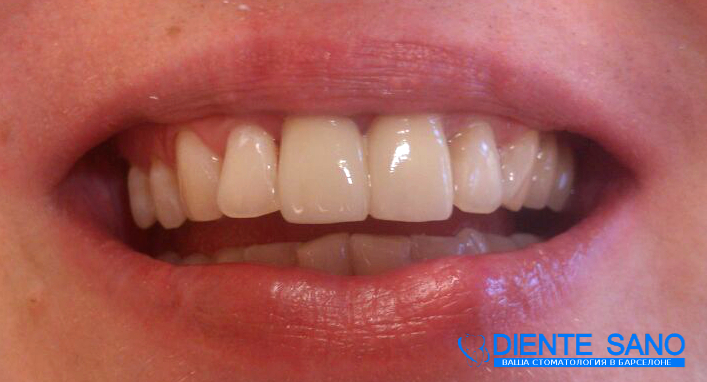 Attached porcelain veneers become strong and durable. The latest technological advancement in the field are lumineers. Lumineers are porcelain veneers as thin as a contact lens, but at the same time very strong, thanks to its composition. In addition, no tissue removal is required for lumineer bonding. The tooth hardly changes in size, since lumineer pads are ½ as thick as the usual porcelain veneers. Lumineers are more expensive, but in the long run they are worth the investment, since lumineers are the longest lasting option. Tissue removal is required. The process cannot be reversed. I will be impossible to switch to lumineers further. The color, transparency and the surface may differ from natural teeth. Almost identical with natural teeth. Requires polishing twice a year. Looses color after some time without the possibility of whitening.